All 8 cabins are en-suites with private balconies, panoramic ocean views and a personal butler service. The Emperor Cruises fleet is designed to be a sanctuary that ensures each and every moment counts for guests in Ha Long Bay - a must-see on the travel itinerary of all visitors to Vietnam. Inspired by the lavish lifestyle of Emperor Bao Dai, the last Emperor of Vietnam, this masterpiece is designed to reflect the style of the 1930s, and be a haven for the most sophisticated travelers to enjoy Vietnamese culture, history and gourmet cuisine. The cruise is where royal glamour and heritage will combine to create the epitome of elegance and aristocracy. Each guest will be treated like an emperor and experience the best of the best, in privacy, and with every tiny detail attended to. Emperor Cruises has been built as a traditional ship using the highest quality materials, and finished with exquisite gold-plated motifs, fine silk, velvet and other luxury accoutrements such as brass, crystal and gem stones. Works of art commissioned from well-known Vietnamese artists adorn the walls, and everything is designed in accordance with the specific requirements and preferences of the individual traveler in mind. The private butler and reception services will be available around the clock. Food fit for an Emperor - Emperor Cruises Halong has crafted a culinary treat for the most discerning of palettes at the Can Chanh Palace Royal Restaurant, and promises that every guest's dining experience will exceed expectations. The cuisine is always freshly prepared using the best local ingredients, with an emphasis on seafood. Each overnight trip includes breakfast, lunch and dinner, and with every meal on board, guests are treated to a rich selection of complimentary local beers, spirits, and distinctive wines chosen by the acclaimed sommeliers. Barbecues and private dinners on the beach or at secluded caves are also available. Guests can choose to dine in their suites, on the sundecks, or anywhere that takes their fancy. With Emperor Cruises, luxury doesn't mean that there won't be adventure! Guests spend their time spotting local wildlife, snorkeling, boating, kayaking, embracing Mother Nature, and passing the time with their fellow passengers and crew. Please contact us to get the best offer. • Unlimited drinks all the time: water, tea and coffee, house wine, spirit, local beer, fruit juices, soft drink, cocktail, mock tail. • 24-hour room service with no additional charges. • Upgrade to higher category accommodation (subject to availability). • All other services not mentioned above. 21.00 Evening activities: enjoy our Movie Night, Board Games or our Massage and Spa services or even gosquid fishing. Overnight on board Emperor Cruises. 11.15 Arrive back at Emperor Cruises dock, Halong City for disembarkation. 11.15 Arrive back at Emperor Cruises dock, Halong City for disembarkation Car is awaiting for you there and transfers you back to Hanoi (transportation service on your request). Emperor Cruises Ha Long promises an extraordinary all-inclusive experience. The newly built, custom-designed traditional junk cruise features three decks that house an open restaurant, two lounge bars and clubs, a small library, internet café, two Jacuzzis, saunas, two massage rooms, a kids’ club and a gymnasium to service the 8 luxurious en-suite cabins with ocean views and private balconies. Emperor Cruises are all-suite cruises with cabins measuring from 28 to 70 square metres, large enough to be able to add an extra bed. All the suites are spacious with their own private balcony affording spectacular ocean views. • Queen- or king-sized bed or twin-bed configuration with luxurious and-embroidered duvets and pillows. Our Heritage Lounge and Bar remind you that you are in the World’ Heritage Listed Site with the royal heritage, is located on the sun deck where you can sunbathe or enjoy a cold drink at the bar while taking in the breathtaking views, admire the sunset or take part in the wine tasting. The spacious sun deck affords superb views of the ever-changing fairytale landscapes. Get up early in the morning and welcome the first rays of sunshine announcing a new day and join in the open-air tai chi class. We e serve afternoon tea, where we introduce you to the traditional Vietnamese art of drinking tea. You can also sample the finest Vietnamese coffees and try your hand at making a café filter or café sua da for yourself. The Heritage Lounge and Bar is very spacious offering plenty of relaxing options with a sun deck and open-air cinema. During the cruise you can choose from a selection of complimentary wines, beers, soft drinks, cocktails and spirits, as well as teas and coffee. According to Cham legends, the goddess Ponagar, also known as Holly Mother Thien Y Ana, was born from heavenly clouds and sea foam. This goddess created the world and gave it trees and rice. She taught people skills to survive and she was honored as the Mother of the Land. Leave stress and worries behind as you cruise through the tranquil waters of Nha Trang Bay, probably no better place to be as it is one of the 29 most beautiful bays in the world! Time stands still as you enjoy our pampering beauty spa services and relaxing massages. Our five-star experiential cruises offer the best facilities as well as an extensive range of treatments which will make you feel like royalty. Therapeutic quality essential oils are the basis of the aromatherapy skincare products used for the majority of the face and body treatments. We also place great importance on the relaxation element of the spa experience. Prior to or after their treatment, guests can stay in the Ana Spa to enjoy the dry sauna and Jacuzzi whilst sipping on complimentary ginger or jasmine tea. All treatments in the spa are included in the price, so all you need to do is to make a reservation through your butler or experience manager. Inspired by this royal museum, Emperor Cruises has its very own Bao Dai Library located on the upper deck, adjacent to the Ana Wellness and Spa, which is well stocked and exceedingly comfortable being a perfect setting for reading and relaxing. Discover luxury travel guide books about Nha Trang and Khanh Hoa, photos by famous photographers and paintings by Vietnamese artists. Peruse travel books to help you plan your next adventure in Vietnam and spend time doing your own research online at one of the computers. You can even play chess or other popular board games. DVDs are also available for guests who wish to watch a movie in the privacy of their suite. Named after the Can Chanh Palace (Cần Chánh Điện), at the very centre of the Imperial Enclosure, the once magnificent Forbidden Purple City in Hue where Emperor Bao Dai was crowned. Decorated with magnificent paintings, antique objects, Chinese ceramic and pottery and home to the most powerful royal seal, the Cần Chánh Điện was where the emperor received foreign delegations and ambassadors, held royal family parties, and celebrated national days and Nguyen Dynasty affairs of state right up until 1945. This was a citadel within a citadel and was reserved solely for the personal use of the emperor – the only servants allowed into this compound were eunuchs who would pose no threat to the royal concubines. Cần Chánh Điện was also where emperors conducted royal ceremonies on the 5th, 10th, 20th, and 25th of the month according to the lunar calendar. The ‘Can Chanh Dien’ main palace is one of the earliest palaces in the ‘Can Thanh Cung’ residence, constructed in 1804 during the reign of Gia Long, as the ‘Thuong Trieu Chinh Dien’ main working hall for the emperors and their cabinet during the Nguyen Dynasty (1802-1945). It played an important role in politics, and expressed the power of the feudal kingdom during that period. During the Indochina War (1945-1954) it was destroyed by fire in 1947, and only the foundations remained plus traces of a number of pieces of stonework. Emperor Bao Dai was greatly influenced by French civilization; he studied and grew up in France, and only returned to Vietnam when he succeeded to the throne and where he lived most of his life under the protectorate of the French. In addition, he lived the opulent lifestyle of the upper-class French. His style, where East meets West, epitomized the influence of the French where there is luxury in simplicity and this has inspired the architecture of Emperor Cruises. We have named the restaurant and lounge Can Chanh Palace Royal Restaurant and it is located on the left-hand side of the main deck close to where guests board. Here they are welcomed by our hospitable crew with a welcome salangane drink. With such an inspired name, Can Chanh has been designed with a royal atmosphere for both the lounge and restaurant. Works of art commissioned from well-known Vietnamese artists adorn the walls. Painted exclusively for Emperor Cruises by the famous painter Pham Luc, one of his masterpieces shows Emperor Bao Dai giving a grand imperial audience. It has taken time to complete and is displayed exclusively on board for the pleasure of Emperor Cruises’ passengers. Can Chanh is at the heart of the Emperor Cruises boat, a place for the most sophisticated travelers to enjoy Vietnamese culture, history and gourmet cuisine, and where royal glamour and heritage combine to create the epitome of elegance. The spacious and relaxing lounge has comfortable, elegant furniture inspired by an original 1930 design, ideal for taking in the breathtaking views. While dining in style in the Can Chanh Palace Royal Restaurant, you will be able to observe the preparation of the food in the restaurant’s open kitchen. Emperor Cruises has crafted a fine Vietnamese culinary experience for the most discerning of palettes to ensure every guests’ dining experience exceeds their expectations at the Can Chanh Palace Royal Restaurant. The restaurant’s cuisine is always freshly prepared using the finest local ingredients to prepare royal dishes once reserved only for the royal family. Each overnight trip includes lunch, dinner, and brunch. Guests can enjoy their dining experiences in their suite, on the sundeck, wine cellar or anywhere they like, at any time. With every meal on board, guests are treated to a fine selection of complimentary local beers, spirits, and distinctive wines chosen by our acclaimed sommeliers. It is all included. Enjoy your dining experience in such a special place, with special people and special moments! The Kids’ Club, located on the upper deck, will wow our younger guests whilst bringing them face to face with the colours, sounds, experiences and stunning views of Halong Bay. Parents are invited to enjoy much-needed time alone to use any of our on-board facilities while your children have fun in a safe and exciting environment with activities under the watchful eye of our professional team. 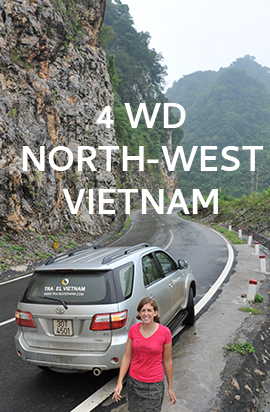 Vietnam is home to some of the best coffee and tea in the world but few people know it! Our Vietnam Tea and Coffee House on board Emperor Cruises brings you the essence of Arabica and Robusta, serves you the finest tea and introduces you to the art of drinking Vietnamese tea. Vietnam House is a natural meeting place, where a delightful selection of specialty coffees are prepared to order by our baristas including freshly brewed cappuccino or espresso. Traditional coffee such as café sua da and café den are on the menu, or you may want to learn how to make a café sua da yourself. You may try tra da, green tea, black tea or specialty teas and learn how the Nguyen Emperors enjoyed the art of drinking tea. Inspired by the opulent lifestyle of the Emperor Bao Dai, every corner of this masterpiece, including the Hanoi Bar, tells a story. Hanoi Bar covering an area of 80m2, is located on the lower deck decorated in colonial Indochine style. It is an oasis on the Emperor Cruise not to be missed while on board. We artfully combine a warm, friendly ambiance with the ultimate expression of elegance, yet casual onboard pleasures. Evenings offer all the sophisticated fun of a nightclub, whether you mingle over cocktails in a clubby piano bar or plush lounge. Elegant and sophisticated in design, the nostalgia of old Hanoi is recreated from the time when Bao Dai was the advisor to President Ho Chi Minh. While there he fell in love with Mong Diep, a 21-year-old highly acclaimed beauty, who originated from northern Bac Ninh, and a popular dancer in Hanoi. Bao Dai was known as a ‘lady killer’, very handsome and suave and deeply attractive to many beautiful women who could not resist his romantic charms. Bao Dai particularly enjoyed frequenting discotheques, night clubs, and bars in his solitude time in Hanoi. When he was the emperor he would splash out on a beautiful villa for a lover, but when he hit hard times at the end of his life in France, he lived on the generosity of his lover, the dancer Mong Diep. There are still many untold stories to tell about Bao Dai and every corner of the Emperor Cruise has a story to tell. The spacious Hanoi Bar is welcoming with its wooden floors, intimate atmosphere and luxurious features, specially designed with our in-house guests in mind to enhance their cruising experience. There is a wide selection of wines, beers, cocktails, liquors and spirits available to enjoy in the elegant and laidback environment. The sommelier can help to select the wine to accompany lunch or dinner upon request. Guests can opt for an intimate dining experience with the wine of their choice entertained by our own pianist. The small stage can also be converted to a theater, cinema or karaoke room for an unforgettable evening of fun. Hanoi Bar is perfect for a small group event, special celebration or simply just to relax on the comfortable sofas with a drink to contemplate life to the accompaniment of our musicians. And whatever you drink, remember there is no additional charge. The name 'Saigon Saigon Bar' is evocative of the iconic bar in Saigon in 1959, and was a popular spot amongst war journalists in the 1960's. Saigon was then renamed Ho Chi Minh City in 1976, as an honor to President Ho Chi Minh, after the victory of the Northern Army over Saigon on 30 April 1975. The Melong Lounge stairs are built in Indochina style in the centre in the upper floor containing Bao Dai Library, Mekong Bar, a Spa and Sauna Rooms, Kid’s Club and Mekong Lounge - along with the fully stocked Saigon Saigon Bar. Guests gravitate to the lounge in the mornings for cà phê ðá - Vietnamese coffee poured over ice with sweet condensed milk, between excursions to swap travel tales and for daily information briefings. 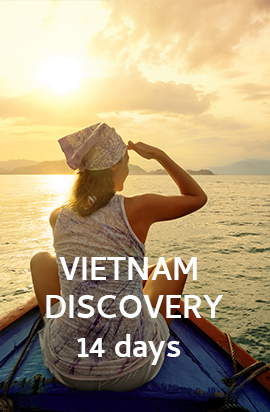 Learn about topics relevant to upcoming excursions or discover the life of Nam Phuong through various books, old photos or in the Emperor’s Secrets Book at the nearby Bao Dai Library. Converse with friends over a cup of coffee or enjoy the art of being served Royal tea or coffee in the fashion on the period. Capture every special moment and come home refreshed and relaxed and ready to plan your next adventure! Relax, recover, renew, reflect, regain, relive. As Queen Nam Phuong once said, “le temps passe, le souvenir reste.” “Time flies, memories remain".